CELEBRITY GOSSIP|CELEBRITY VIDEOS ETC. : Sheryn Regis is a Filipina pop singer, composer, host and actress. Sheryn Regis is a Filipina pop singer, composer, host and actress. Sheryn Mae Poncardas Regis was called as Sheryn Regis was born November 26, 1979 .She is a Filipina pop singer, composer, host and actress.Sheryn was born and raised in Carcar, Cebu, to Bernardo and Daisy Regis. She is the eldest of three kids, and has two siblings, Elton and Joseph. Sheryn was a consistent top scorer of Star in a Million, where she eventually ended as runner-up to Erik Santos in January 2004. She is a member of ABS-CBN homegrown talent, Star Magic. Her mother guided her in singing. At the age of 2, Sheryn was able to hum and sing simple tunes as her mom recalls. Her first and favorite contest piece was Ms. Kuh Ledesma’s “Dito Ba,” which Sheryn learned at the age of five. At seven, Sheryn started joining amateur singing contests. Her winnings were used to buy tapes of Shirley Bassey’s hits for her next contest piece. And at the age of eight, Sheryn won her first grand prize by singing Ms. Tillie Moreno’s “Saan Ako Nagkamali? Aside from singing, Regis offered voice lessons to children while in high school. During her college years, Sheryn was able to finish her B.S. Secondary Education, with a major in English at Cebu Normal University. Regis worked as a lounge singer at the Cebu Plaza Hotel where she met Earl Echiverri (cousin of Caloocan City mayor Enrico "Recom" Echiverri). In 2002, they exchanged vows and had a daughter nicknamed “Sweety” the following year. In 2003, Sheryn Regis entered ABS-CBN’s Star in a Million. She was the consistent top finalist from first episode tell they only remain 3 contestant and was dubbed the Power Belter. 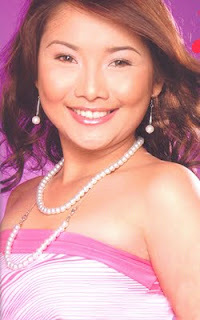 She ended up as the first runner-up and texter’s choice awardee during the Grand Champion Night last January 3, 2004. After this, Regis went back to Cebu, and was later offered a recording contract by ABS-CBN and another recording company. She accepted ABS-CBN’s offer. Due to the impressive performance of Sheryn's third album, Star Records decided to revert back to the genre of songs similar to those from her first two albums. It was also during the planning stages of her fourth album that Sheryn became part of Star Magic, the talent management arm of her mother station, ABS-CBN. Sheryn, along with her husband, penned an English original, My Heart Beats for You. Anabelle Regalado, managing director of Star Records, also contributed a Tagalog original, Sana Nandito Ka.The first time that one of Sheryn's albums was produced by somebody other than producer Jonathan Manalo. The carrier of her fourth album was chosen as an official theme song of ABS-CBN's Koreanovela, Three Dads with One Mommy. Does the battle sport a such contour? Who is this guy?Do you know Him? Available Lemon Juicer for you.Check this out.